Touch ID is a fingerprint scanner and reader incorporated into many iPhones and on some Macintosh computers. Touch ID lets you use a fingerprint to verify your identity on Apple devices that support it. Touch ID, along with your password and/or personal identification number (PIN), helps secure your device. While a password or PIN are something you know, a fingerprint is biometric, or something you are. Touch ID allows you to verify your identify quickly, without having to enter a password or PIN. On macOS devices, you may choose to use Touch ID for the first three of the tasks listed above. As of late January 2019, the ability to use Touch ID for Safari AutoFill is in testing and expected to be available as part of a macOS update. You can configure Touch ID when you first set up a new device that includes the technology. You’ll need to place and then lift your finger several times on the Touch ID circle to allow the system to recognize a finger. See Set Up and Use Touch ID, the iPhone Fingerprint Scanner for step-by-step instructions. To configure, manage, and adjust all Touch ID settings on iOS devices, open Settings, then Touch ID & Passcode. There, you can add, retrain, or remove fingerprints, as well as choose which tasks Touch ID will support. Apple released the iPhone 5S with Touch ID in late 2013, and included the technology on the iPhone through the release of the iPhone 8 and 8 Plus. Touch ID also works on many iPad devices released before late 2018, including iPad Pro, iPad (5th generation and later), iPad Air 2, and iPad mini 3 and iPad mini 4. 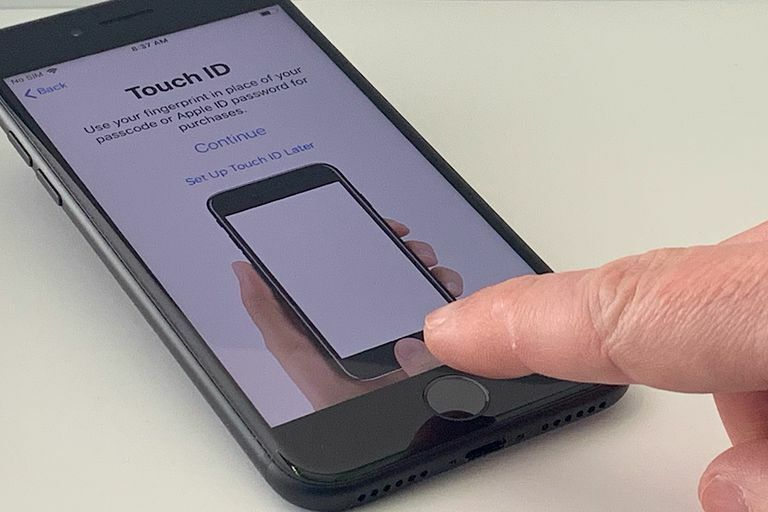 Apple omitted Touch ID when the company released iPhone X in 2017. Instead, the iPhone X, iPhone XS, iPhone XR, and iPhone XS Max support Face ID, which allows these systems to recognize your face, instead of your fingerprint. Apple also chose to include Face ID instead of Touch ID with the launch of iPad Pro devices in late 2018. Starting in 2016, some MacBook Pro and MacBook Air models also include Touch ID. On these devices, you’ll find Touch ID in the upper right portion of the keyboard (to the right of either the function keys or Touch Bar), above the delete key. To configure, manage, and adjust Touch ID settings on macOS, open the Apple menu, select System Preferences, then choose Touch ID. From there you may manage Touch ID settings for your system. On a Mac used by different people, you may use Touch ID to switch accounts on the system. First, each person needs to configure Touch ID to recognize at least one fingerprint. Then, when a person places a finger on the Touch ID sensor, the Mac will switch to that person’s account.